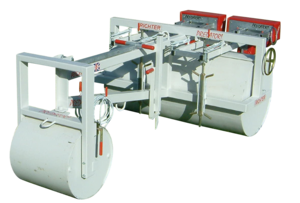 The PR65 is the worlds best-selling roller style scrum machine. Player assessment - simple thrust measurement. 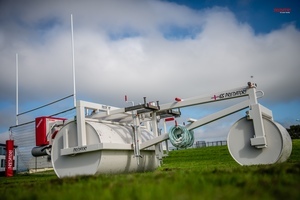 Simple to manoeuvre - built-in fold-away steering tiller. 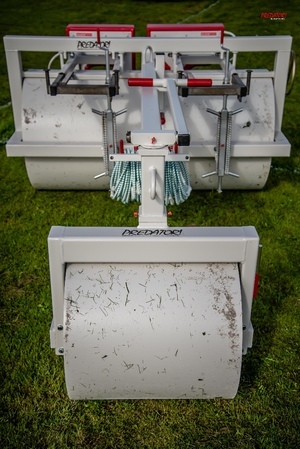 Simple force adjustment - resistances to horizontal & vertical movement are easily accessed & instantly variable. Simple width adjustment - three width settings suit all players. An alternative four pad arrangement is available. Can be upgraded to the PREDATOR! 65 Plus at a later date! An optional heavy duty PVC cover is also available. Price excludes VAT and delivery. UK mainland delivery charge calculated in basket. Non-UK highlands and Islands please enquire.